About a year ago I did a chill out session during the 7-9pm slot at Dommune. I really enjoyed myself, and people watching seemed to like it to, so we’ve decided to do it again. Perhaps because of the hot weather, and the recent aquarium gig, but I’ve been listening to a lot of ambient music recently (more so than usual) and wanted to share some of it. 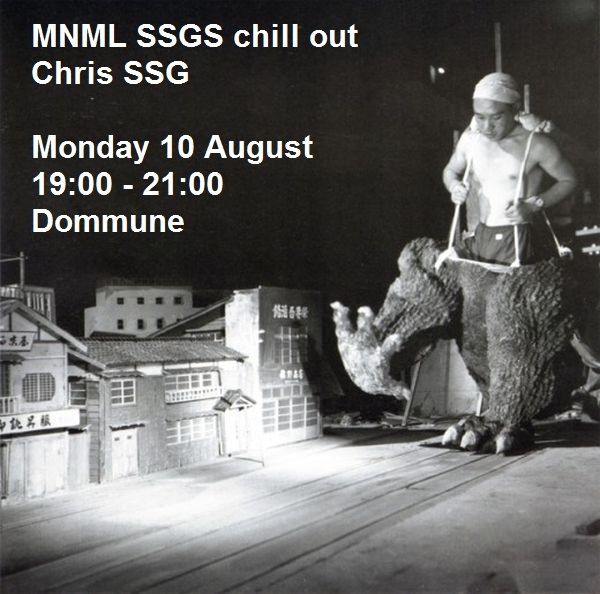 So I’ll be playing again on Dommune this Monday 10 August from 7-9pm. I’m planning on playing quite a bit of new stuff, and I’ll probably repeat what I did last year of giving a live tracklisting. If you are free, of course you are welcome to join in the studio, otherwise tune in and tune out.